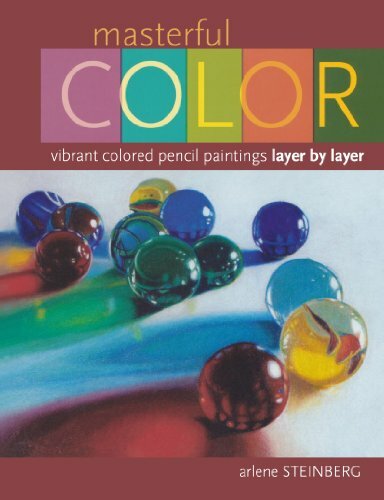 This is a wonderful book for intermediate coloured pencil users. About a third of the book covers the basic art fundamentals relating to colours and art, things like the colour wheel, understanding value, composition, and the materials you need. Speaking about the materials, the brand of coloured pencils used is Prismacolors. I'm using Derwent so it's a bit difficult to follow along as the different brands like to use different naming conventions for pigments in their pencils. There are some basics mentioned on using coloured pencils but not too much. When I say this is not a beginner's book, I'm referring to the 15 step-by-step tutorials that feature rather realistic drawings in terms of style. It can be daunting to replicate the examples depending on your skill level. However, the instructions are very clear, with all the colours used being listed, and for the pictures included there are also pointers as to which colours are used where. You'll get lots of practice on tonal underpainting and layering. Right at the back of the book are line drawings for all the tutorials. You can copy those to start every lesson. I'm still a beginner so it will take a while for me to get through all the lessons. It's a good book that I'll keep for reference to refer to in the future.